How can we already be in August! Weeks are just flying by. I hope your all having a lovely Summer. Share below in the comments what you've been up too? In the UK our summer has been a really mixed bag with lots of rain, thunder interspersed with baking sunshine. It has made knowing what to wear really difficult and as a result I have been caught out quite a few times. Life lesson number one a white t-shirt in the rain is not a good look as it shows your bra, flip flops are also not appropriate footwear in the rain they become floats. In today's post I thought I would share some new products I've been using and loving over the last couple of months. Nothing beats a soothing soak in the bath tub. I love baths they are the perfect way to relax and unwind. Since having Noah however finding the time for a bath has really become a real luxury. There just isn't much time to relax and unwind, so when I do get any time for a bath it's an occasion and I like to go all out. 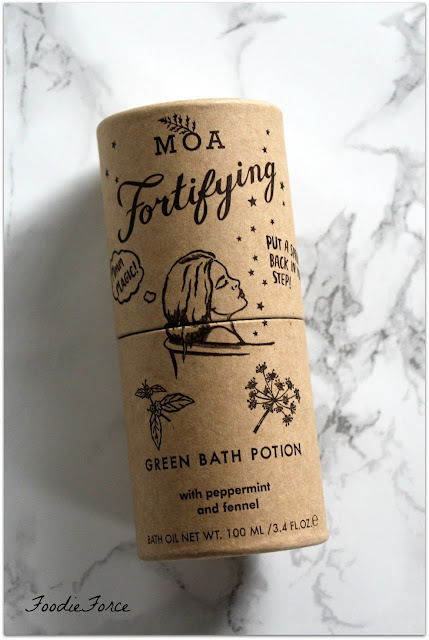 I've been loving my new bottle of Moa fortifying green bath potion. The first thing to say is that this little green bottle packs a punch, you don't need much as it goes a very long way. Three capfuls is perfect and it fills the bath with a refreshing peppermint scent and the whole house smells of it too. The inclusion of sweet birch is great for de-stressing and easing tired muscles. It is also suitable for sensitive skin, Vegetarians and Vegans too. This really is the perfect bath potion for winter and also if you have a cold as the peppermint and steam from the bath help clear your sinus. It makes a nice change to have a very different bath soak that isn't the usual over sweet offering. In the Winter my lips get dry, crack and become really sore. I have my Winter lip care down to a fine art now with Nuxe Rêve de Miel (£9.50) and Blistex relief cream. That's very nice Lucy get to the point, well I did wonder if there was a lip treatment that I could use in the Summer to prepare my lips and get them Winter ready. wonderful oils which are meant to help cellular repair, regeneration and calm signs of irritation. I've been putting it on at night for over two months now and it has been great at moisturising and hydrating my lips they feel much softer and really smooth. Everyone raves about Sunday Riley and if I'm honest I was a little bit dismissive that it was probably all just hype. But after almost a year I have finally succumbed to the hype and jumped on the proverbial bandwagon with a purchase of Good Genes and I am so glad that I did. Having a baby that doesn't sleep after a while takes its toll on your skin. Mine has been looking rather sorry for itself for the last seven months; tired, seriously dehydrated and with frequent hormonal spot breakouts. When trying to choose which Sunday Riley product to buy I must admit that I was a little overwhelmed. There has been lots written and shared about the Luna Sleeping Night Oil but this seemed more aimed at anti-ageing, vanishing fine lines and wrinkles. Now whilst I need this too, at the moment the main need is a good moisturiser and something that brightens, so I opted for Good Genes. Now there are a few things to be aware of, if you have sensitive skin you will need to consider if this is the right product for you. I have really sensitive skin and whilst it tingles putting it on for me, it might react differently on your skin. The second thing to note is that it has a strong smell. Some people have said that it is reminiscent to lemon! I'm not sure about that one, it smells very chemical but I personally don't find it offensive. I use two small pumps twice a week and have really noticed a difference, my skin is brighter, smoother and I definitely have less spots. 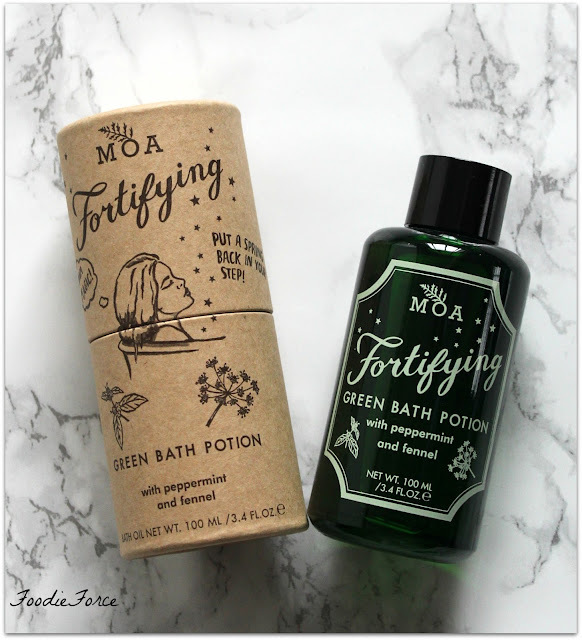 Whilst this is an expensive product for me it is a definite repurchase, there is not another product I have found that has worked so well and in such a short amount of time. What products are you loving right now? Any good recommendations?